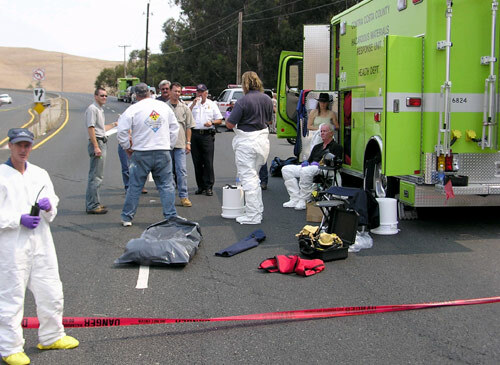 On Wednesday, September 5, 2007, Hazardous Materials Specialists removed radioactive medical waste from an accident scene on Kirker Pass Road near Concord. 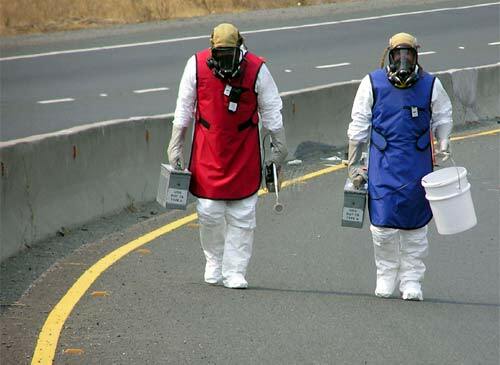 Contra Costa Health Services Hazardous Materials Specialists responded following a morning commute accident involving a truck carrying radioactive medical waste. A lead container carrying vials of Technetium-99 (Tc-99), which is used in medical proceedures, was damaged and a vial was released. However, the vial did not break and only a low level of radiation was detected at the scene. As with any radioactive material, there is an increased chance that cancer or other adverse health effects can result from exposure to radiation. The risk of exposure to the material was determined to be low.